Throughout the year The Rock Studio offers mini-session portraits. 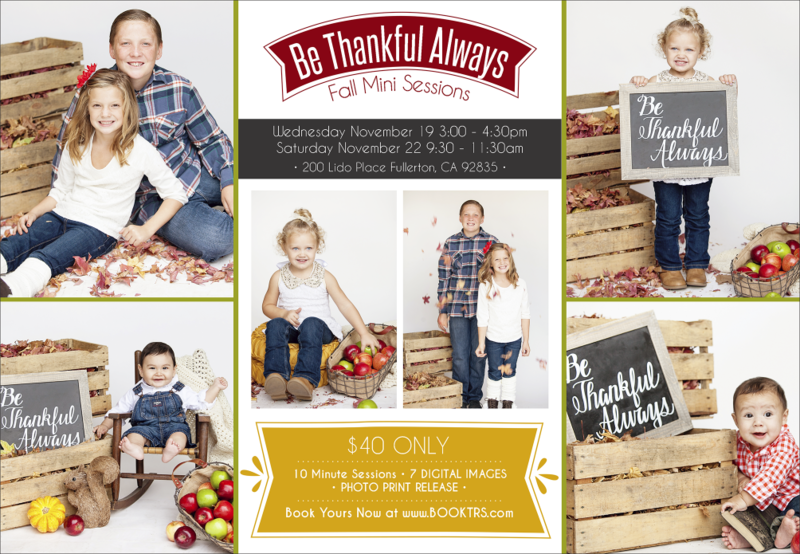 These fun, affordable sessions are announced via Facebook and Instagram and are always a steal! Usually between $15-$60 per session, these are a great and fun way to get updated portraits of your friends and family. The sessions are done in a set location, at set times and are booked on a first-come, first-served basis. Valentines Day, Mommy and Me, Daddy and Me, So In Love, God Bless America, Best Friends, pets and more! Follow our Facebook Page for The Rock Studio or us on Instagram (@katie_rockstudio) to be sure you don’t miss these fun portrait sessions when they get announced. They’ll also be announced here. To Book Your Mini-Session once one has been announced, visit www.BookTRS.com. © 2019 TheRockStudio|ProPhoto Photography Website Coronado by The Shoreline Collection | Designed with love by Seaside Creative.